Use Medela Pump & Save storage bags to save time, minimise pouring and build up a reserve of breast milk. 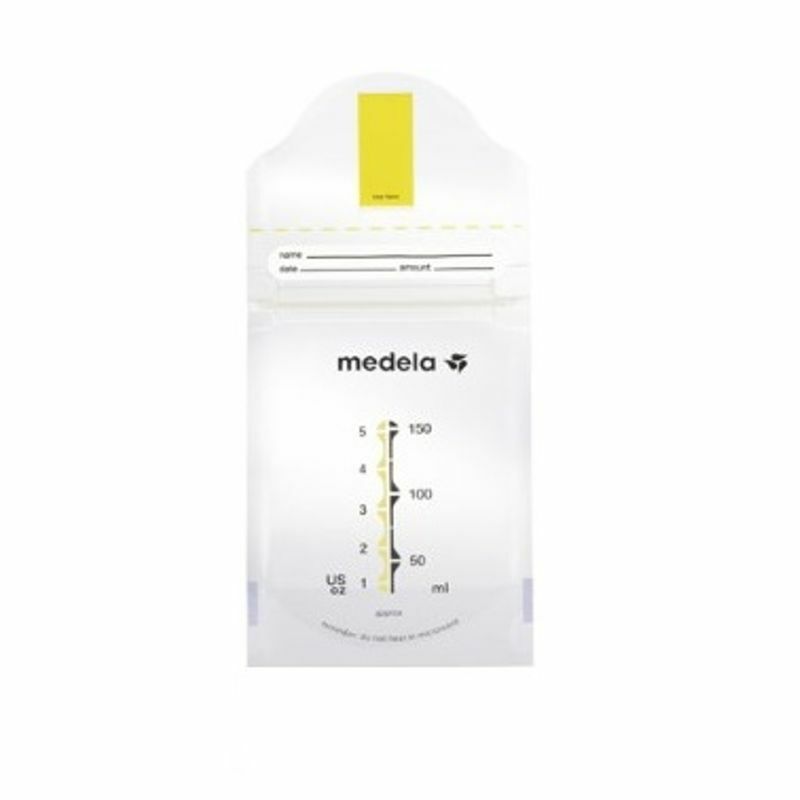 They are easy to use just pump directly into the Medela Pump & Save bag, label it and pop it in your fridge or freezer. The exclusive self-adhesive strap allows you to pump breast milk directly into the breast milk storage bag. The double-walled bags have a leak-proof zip closure, ensuring safe long-term storage. Thanks to the air and moisture barriers, your breast milk's beneficial properties are retained. The area for labeling and dating the bags makes it easy to keep track of your stock of milk.